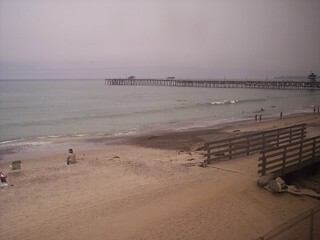 We see the San Clemente Pier in the distance. 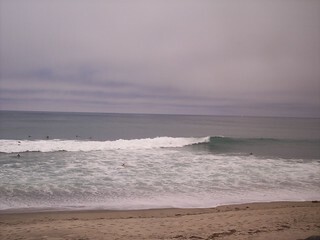 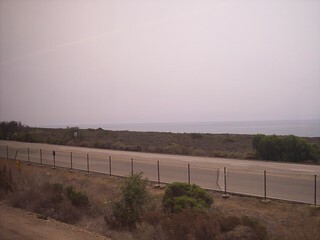 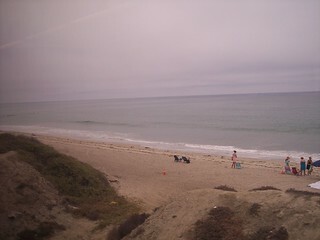 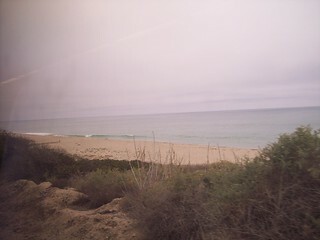 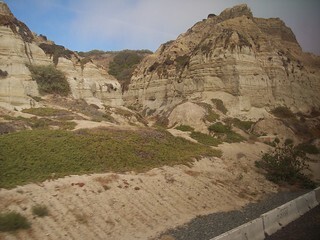 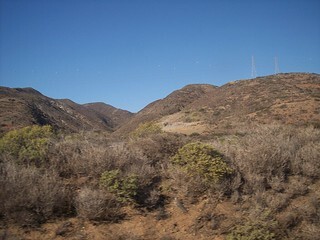 More views of the ocean as we head toward Oceanside. 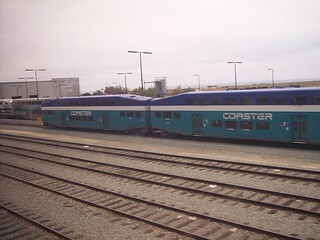 We pass through a yard with both Coaster and Metrolink equipment. 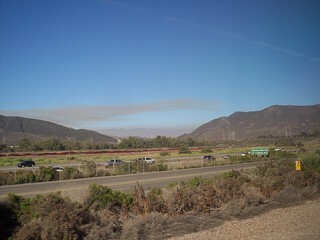 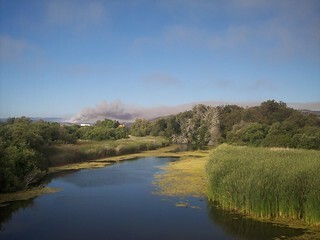 Smoke from a forest fire can be seen to the east.